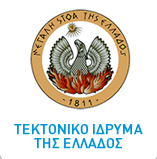 In order to participate to the "6th Delphi Symposium/10th Summer School" you must send the following application. All participants have to pay a symbolic fee of 20€, except for the presenters. University Students participation is free, however they need to fill in the application form and send it. This fee may be paid into the bank account listed below or during the symposium's first day. In any case, it is essential for the application (attached file-application) to be submitted as soon as possible via e-mail, fax or post stating the transaction/payment ID.